The University of Sydney’s Paralympians are beating the best with our seven female athletes impressing on the world’s stage in London. Australia is currently ranked fifth on the official medal tally with 31 gold, 23 silver and 29 bronze medals. Angela Ballard, who is currently studying for Psychology Honours, had previously won medals in Athens and Beijing. 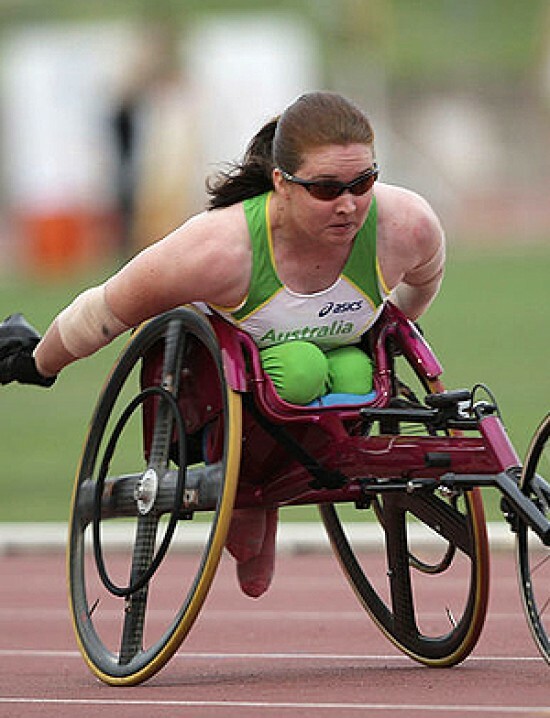 An athlete who competes in wheelchair racing, Ms Ballard won a bronze medal in the 100m and a silver medal in the 400m race. Ms Ballard won also won a silver medal in the 200m, breaking an Australian record with a time of 29.35 seconds. Sydney Uni WheelKings and Wheelchair Flames representatives Katie Hill and Sarah Stewart were part of the silver medal-winning wheelchair basketball team. The Gliders were defeated 44-58 by Germany, with Hill and Stewart scoring four and two points respectively. In the swimming, Science student and three-time Paralympian Prue Watt won a bronze medal in the 50m Freestyle and a gold medal in the 100m Breaststroke event. Ms Watt was presented with her bronze medal by Vision Australian Board Member and Sydney University Emeritus Professor of Law Ron McCallum AO. Commerce student Katrina Porter, who won a gold medal in Beijing, made the finals of the 400m Freestyle, 100m Backstroke and 100m Breaststroke. Sydney Uni Swim Club member Sarah Rose, who won bronze in Athens, made the finals of the 50m Butterfly. Arts/Education student Jenny Blow and her Goalball team were knocked out in the preliminary rounds. This was Ms Blow’s first Paralympics.